As part of Autosport's celebration of Formula Ford's 50th birthday, we take a look at the latest junior single-seater to carry the Ford badge. 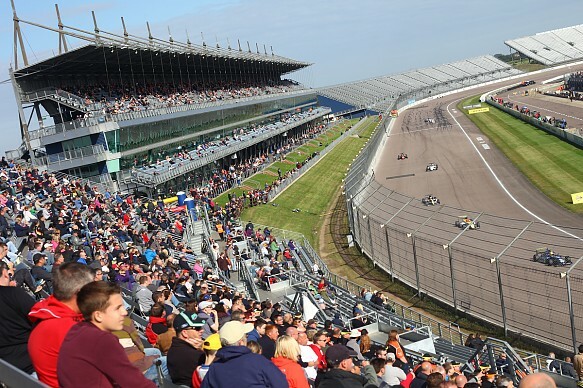 The British F4 car has many links to the technology we see on the roads, but it also has key elements to teach young drivers some important lessons for their motorsport careers. It's very easy for a series to claim it uses a standard road-car engine. But British Formula 4 can genuinely do that thanks to its direct-injection, turbocharged Ford EcoBoost unit that's found in the Fiesta. 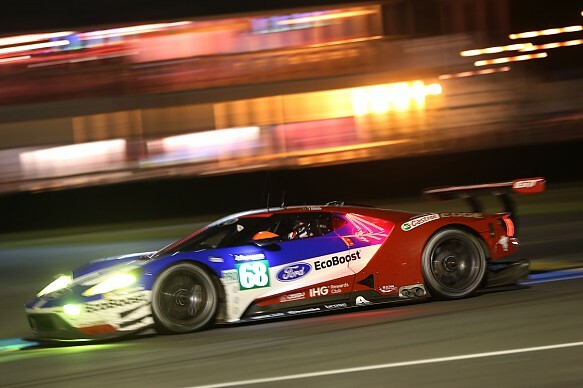 "We take a completely standard EcoBoost engine and fit a dry sump and airbox system - to all intents and purposes it's a completely standard engine," explains Ford Performance manager Mike Norton. It's not just Fiestas either; EcoBoost technology can be found globally across the Ford range, from one-litre three-cylinder units to the V6 that powers the Ford GT. "It's a very versatile and reliable engine for the FIA's F4 power cap at 160bhp," continues Norton. "I think one comes off the production line about every 22 seconds, so there are quite high numbers of them. Ford technology is something we are very proud of and we wanted to associate the championship with. "The big thing for me is that EcoBoost doesn't just mean eco and efficiency, it's a very powerful engine when used in a certain way." As well as its efficiency and power delivery, another important point is its reliability and durability. "As part of the affordability of F4, the FIA stipulates that the engine rebuild intervals are quite long at about 10,000km, so it makes sense to use a road-car engine that has proven reliability and durability," says Ford Performance senior manager Gerard Quinn, adding that some teams are still using original engines from when British F4 began in 2015. F4 and the manufacturer's road-going products, there are plenty of other areas where information can be transferred. In 2013 when wings were first introduced in British Formula Ford - just before the F4 days - Ford was heavily involved in working on the aerodynamics. Although aero is now fully down to Mygale, Ford still likes to help out where it can and learn lessons that can be applied to its road models. "The aero is very important to us," says Quinn. "We worked on the initial aero development of the F4 car in our climate facility with Mygale and were able to develop the package for the car. "Our research and development facility in Essex was used, so it was the same technicians and the same equipment we used for the road cars being used for the race cars." 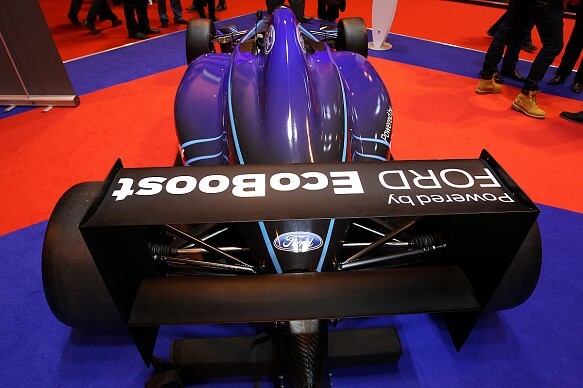 One of the other major changes when British Formula Ford became an FIA-backed F4 series was the introduction of a carbonfibre chassis, replacing the traditional steel spaceframes of previous eras. This exposed Ford to the world of lightweight components - an important area with more and more road cars being made from carbonfibre. "The Ford GT road car is constructed of carbonfibre," says Quinn. "Lightweight components are something we are now developing and looking at to bring into future road-car production. "The carbonfibre tub is homologated by the FIA, ensuring the highest safety standards. What we learn in the development of carbonfibre in race cars assists us in the development of carbonfibre technology for future road-car applications." 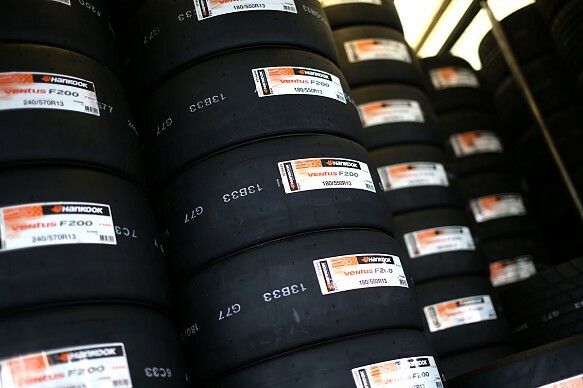 A long-term partnership between Ford and tyre firm Hankook has ensured that the best possible rubber is used on track. our long-standing relationship though Ford's commercial vehicles," explains Quinn. "That has been helpful to us in terms of having the best race tyre to use." Norton admits that the larger tyres introduced when the category became an FIA series were a worry: "We were a little bit concerned with the size of the tyres with the 160bhp engine because we thought the car would be a little bit undramatic and wouldn't be a driver's car. "But to be fair to the FIA and particularly [former Single Seater Commission president] Gerhard Berger, who set the sizes, drivers really enjoy the car." No matter how popular or how much history a category has, there are always tweaks along the way. 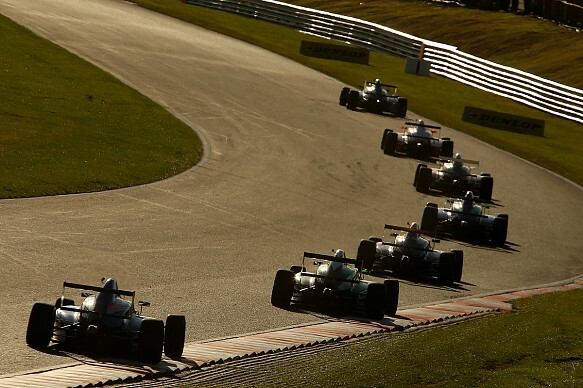 And for British Formula Ford, 2013 marked the biggest changes in the series' lifetime. It wasn't just a new engine, which arrived in 2012 alongside the Duratec, with the EcoBoost motor becoming mandatory. It was more fundamental with the series becoming a slicks and wings formula for the very first time. "Formula Ford has always had Ford's most popular mainstream engine in it," says championship promoter Sam Roach. "As the Duratec had gone out of production a couple of years earlier, it was felt by Ford it was time to find the fourth generation engine and move it up-to-date with an engine that was relevant and kept the ethos of best-selling road car engine in the back of the race car. "EcoBoost had the same features of being very compact and very light but with modern technology of direct injection and turbocharging." The 1.6-litre engine produced 200bhp and continued the close affinity with the race and road cars. The switch in chassis and addition of front and rear wings, however, was far more radical. "The new chassis was a result of a lot of work with the FIA to introduce Formula 3 safety standards into steel spaceframe car," recalls Roach. 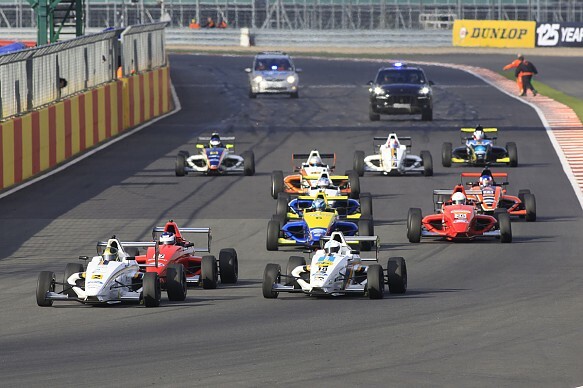 It was initially introduced without wings but these were then added for 2013 with the prospect of Formula 4 - a series of FIA-backed entry-level series worldwide - looming. "It was in 2013 that wings came in and that was to prepare for what the F4 rules would be," says Roach. "It felt up to date with what drivers wanted to drive. "Drivers will spend their whole life driving aero cars so makes sense to start with a more relevant car. It was a very big step forward." But the series never really got a chance to build momentum. Just two years in, FIA F4 arrived with its carbonfibre chassis and global appeal. "It was a really easy decision [going to F4]," explains Roach. 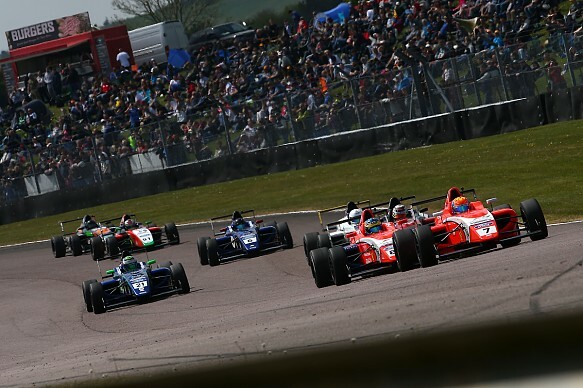 "We could see that Formula 4 had potential to be quite a big development in single-seaters and we knew we had to be in with that." 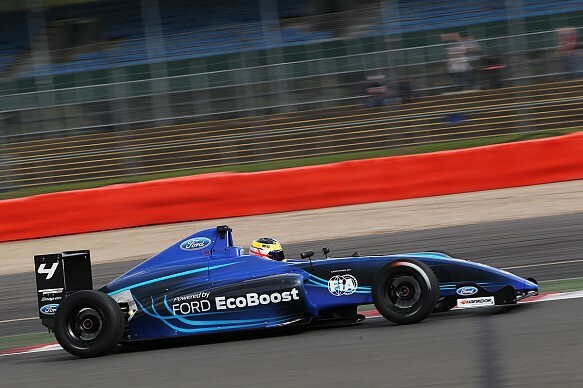 The EcoBoost motor remained but the iconic name did not, instead being replaced by the cumbersome MSA Formula moniker before eventually becoming British F4 last year. Therefore South African Jayde Kruger will go down in history as the last British Formula Ford champion. "It was the end of one era and the beginning of another," states Roach. With big name teams and future stars like eventual 2015 champion Lando Norris flocking to the new series, the decision was validated. But still the same concept from 50 years ago is powering the stars of tomorrow: a road-based Ford engine mated with a basic single-seater chassis. Some things never change.